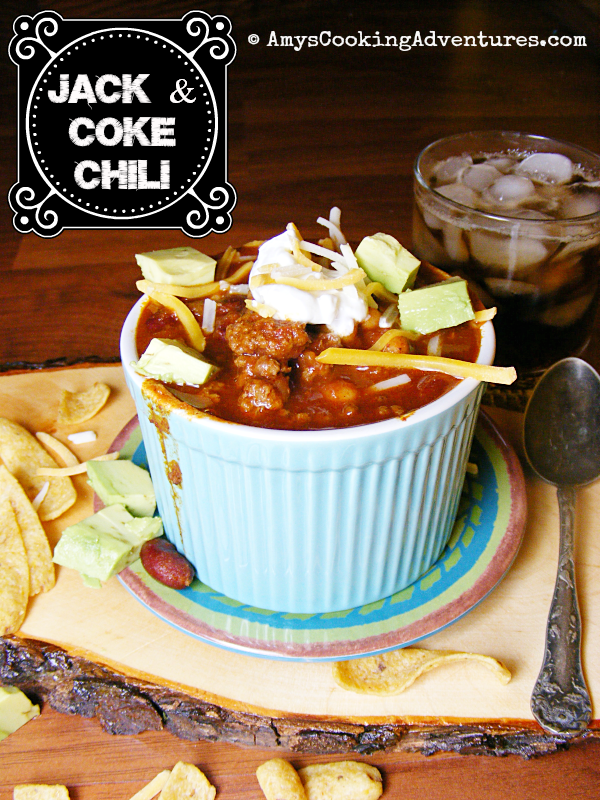 Last summer, I made Jack & Coke Steaks, so when I came across Jack & Coke Chili, I knew it would be a winner. This chili was fantastic! It was super super spicy (so if you’re sensitive, beware!) The toppings (avocado & Greek yogurt/sour cream) absolutely made the chili, balancing out all that spice! Heat the olive oil in a large soup pot over medium heat. Add the onion and cook for 3-4 minutes. Add the garlic and cook for another minute. Next, add the ground beef and cook until browned. Drain off excess water/drippings, if necessary. Stir in the remaining ingredients and reduce heat to low. Cover and simmer for 1 ½ hours. Garish with sour cream (or Greek yogurt), shredded cheese, diced avocado, and corn chips for serving. Love this so much!!! Thanks for linking up to our MM party - pinned! This chili would be a hit at my house!!! Looks great!! 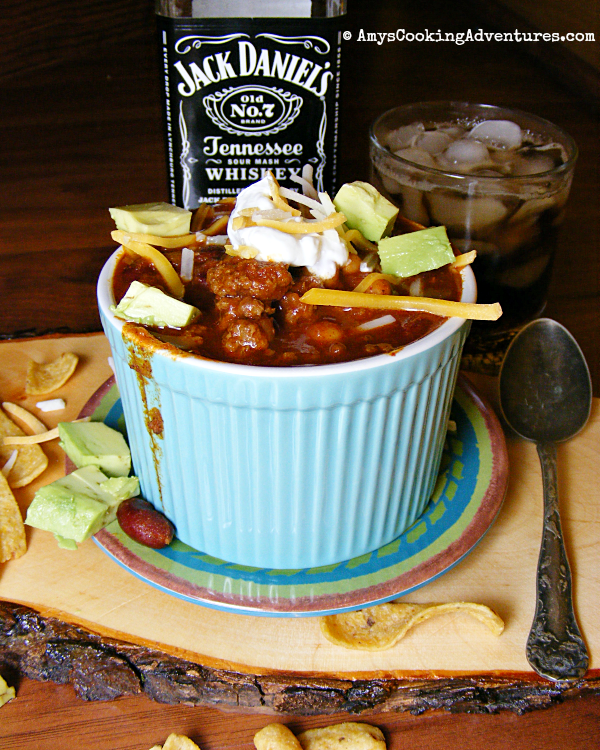 OMG, you've just made chili even more amazing!! 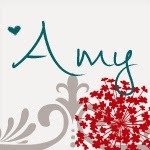 I'd love for you to come link up at my Simple Supper Tuesday linky party. Looks like a great comfort food meal! Thanks for linking up with What's Cookin' Wednesday!